last year, meaning a normal or even later harvest schedule this year! Memorial Day – New Releases and Wine Club Pickup Weekend! Welcome to May! In case you didn’t notice, it’s Oregon Wine Month! 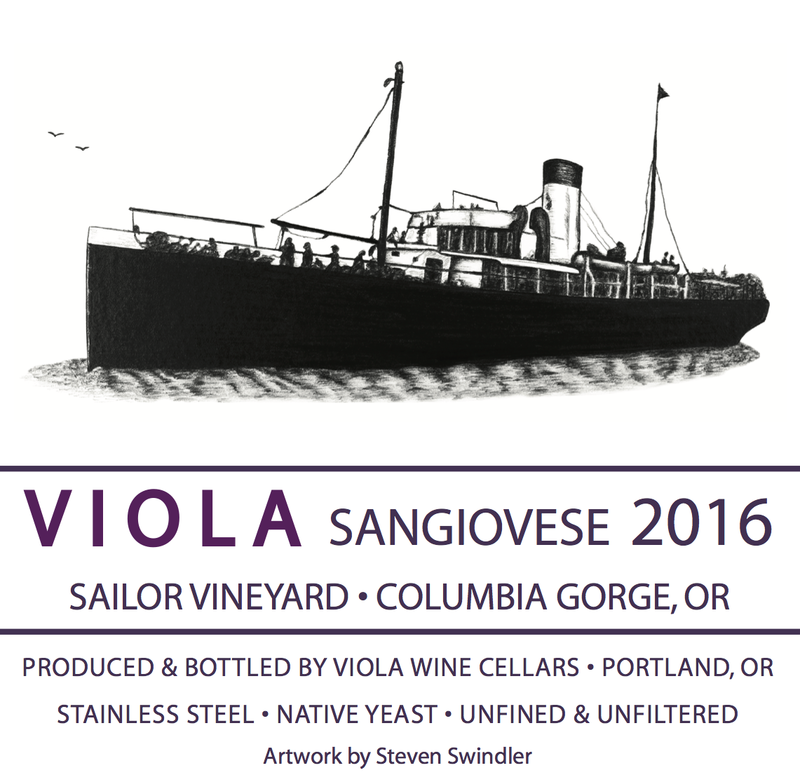 The focus on locally made wines hits full stride this month and we here at Viola Wine Cellars are doing all we can to spread the Oregon wine love near and far. To start things off, we’re having a Full Case Sale at the Tasting Room this Friday and Saturday. Then on Sunday, the PDX Urban Wineries Association, with a record 16 member wineries, hosts its big annual tasting at Seven Bridges Winery where you’ll be able to taste from 32 different offerings all produced right here within the city of Portland! 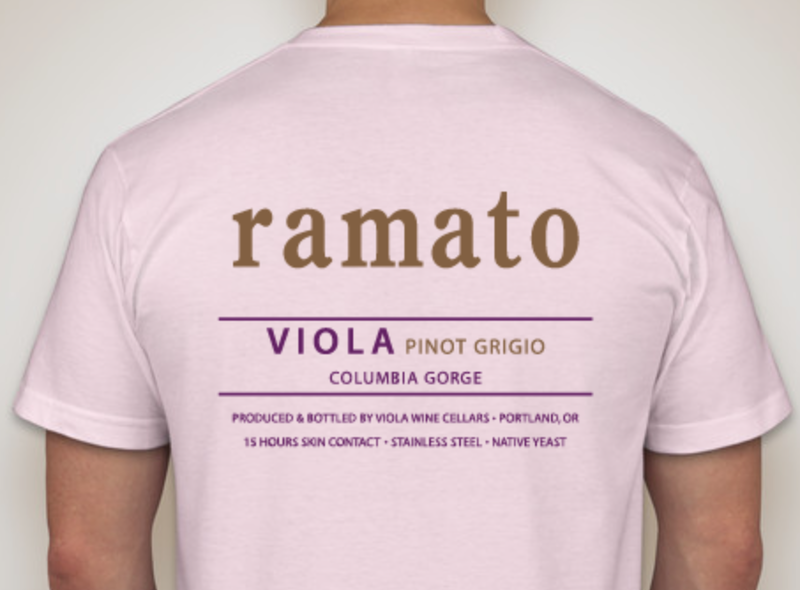 And then there’s the excitement of another t-shirt creation, this time celebrating the lovely copper color of our Ramato Pinot Grigio. Finally, in addition to regular hours all month in the tasting room where we’ll be pouring interesting flights that change with the weather – from white to pink to red selections – we’ll finish off the month with our traditional Memorial Day Weekend open-house bash, with new releases, tasting room and winery hours plus Wine Club Summer selections. Phew – I’m already exhausted. And here we go – all the 411 is below. Hope to see you sometime thins month! CASE SALE – THIS WEEKEND! It’s time to break out of the soggy winter blues and get your shelves stocked with wine for summer entertaining and sunshine on the patio. To help you load up on your favorite Viola creations, we are having a full-case sale this weekend. 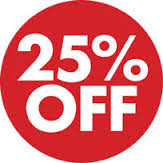 Come on into the tasting room on Friday or Saturday, pick a full case of your favorite wine, and save 25% Off the regular price. No other strings attached. Just get in early if you want one of the last cases of these wines which are nearing the end of their run: 2015 Sauvignon, 2015 Bianco d’Allegre, 2016 Ramato, 2014 Sangiovese and even the 2014 Barbera in Barrique are all ready for drinking and aren’t going to be around come Fall. So stock up! Come taste with all the urban wineries this Sunday. Click on the image below for all the details and how to buy tickets in advance! RAMATO T-SHIRTS Now On Sale! 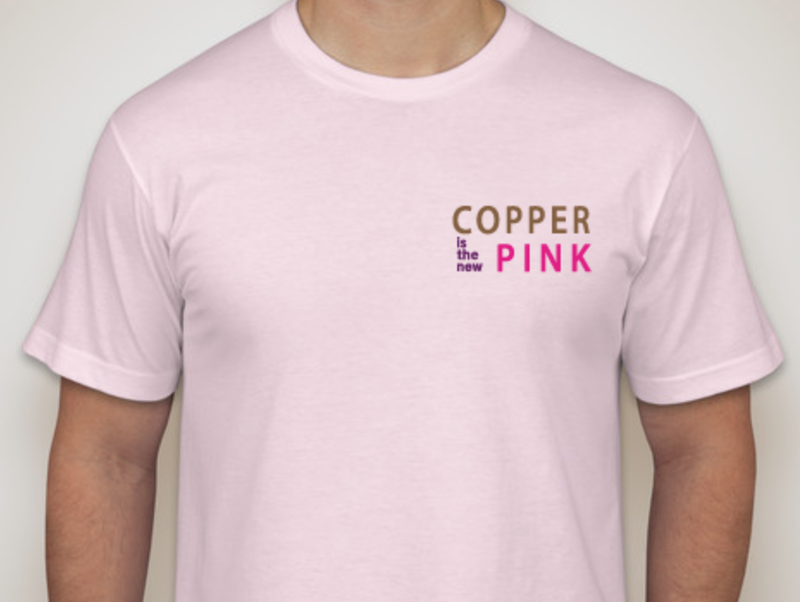 Copper is the new pink. You heard it here first! The wave of Ramato-style Pinot Grigio is taking over the Oregon winemaking scene and we are thrilled once again with the success of our 2016 release from the Allegre Vineyar d. While that wine is getting near the end of its run already, you can still snag some and also keep the spirit alive even when the wine runs out by sporting one of these tasty t-shirts. Stop in the tasting room to find your size and take one home today! The end of May is always marked by the big wine weekend throughout the state, and we like to line up our Summer Releases for the holiday weekend. This year, 2 of the 3 wines we will be showing off are brand new creations, plus our Viola Wine Club members will have Summer releases ready to pickup. More details in another email near the end of the month. For now – save the dates: Friday May 26th at the Tasting Room and Saturday May 27th – Tasting Room and Winery will both be open 1pm – 6pm. Previous Post: « Hey Pool Players! Give our new chef a try and I’ll comp the pool!